pril afternoons are sort of dreary days, grayish, cold, slushy and dirty. Not the sort of days for wandering around downtown or building snowmen outside, but the perfect sort of days to cozy up inside a small local theatre and be entertained for a while. We went to see Lucky Stiff and it was hilarious, and we thoroughly enjoyed ourselves. It seats 100, so it's not a large venue, but I think the intimacy is part of what makes it so wonderful. I realize now I need to check more often to see what's there, because they just performed Alice In Wonderland for a few weeks, which I would have loved. The next production is called Same Time Next Year and it's now on my calendar for the end of April. Luckily, hubby loves plays and musicals as much as I do, so I can drag him to just about anything and he's willing. 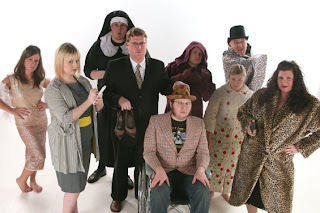 The Greater Grand Forks Community Theatre (GGFCT) was established in 1947 and is one of the 10 oldest community theatre groups in the nation. 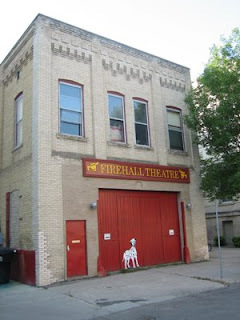 Fire Hall Theatre used to be the #1 Fire Hall in downtown Grand Forks and was converted to a theatre in 1983 providing GGFCT with a permanent home. They perform in many venues across a 20 county region covering northeast North Dakota and northwest Minnesota. 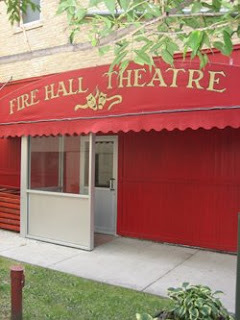 Paul J. Schwartz wrote a comprehensive history of the Fire Hall Theatre available on pdf. Being that I live here I found it to be a fascinating read, others may not think so. Looking for something to do? If you don't have a community theatre group, many high schools, universities and colleges have recitals and programs open to the public. We went to see a friend's son perform opera at NDSU in Fargo last year which was an enjoyable weekend afternoon. In Grand Forks, I'm lucky because it seems like there is always something going on if you look around a bit. We have a few theatre options, Fire Hall Theatre, Chester Fritz, Empire Arts Center, Burtness Theatre, not too mention the countless high school theatre productions and the theatres in surrounding communities. For instance, I can't wait to go to Frostfire Theatre this summer for Fiddler on the Roof in Walhalla, ND. Sounds like a lot of fun. I love the thought of just 100 people, nice size. There is a similar theater in San Francisco that we love to go to for the smaller intimate group size. What fun! Hope you have a great Easter weekend! It has a nice intimate feel inside. As I was digging around for information while writing this post I see they have a season ticket package. I know what I'm getting next year!